Need Concrete Driveway Repair In Irving? Choose The Best Contractors Performing The Process. Want Irving driveway repair on your concrete surface? Be choosey and call the driveway contractors at HD because we perform the procedure correctly. We also provide no-cost estimates. 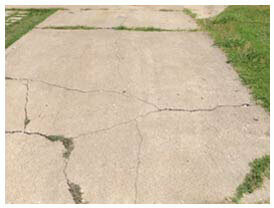 So contact us if you need cracked driveway repair. We’ll help you preserve your Irving property. Why Concrete Driveway Repair In Irving? Here’s why: Fixing your driveway will prevent issues and keep it from deteriorating and becoming unsafe. 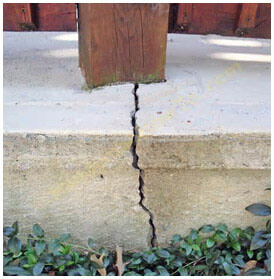 If you notice the following four conditions, you may need to enlist a contractor that performs repair service: (1) separation at the joints (2) cracking, breaking or flaking in your driveway surfaces (3) uneven areas and (4) portions of the concrete driveway that buckle. It’s a good idea to review information about commercial and residential driveway repair contractors in Irving that can pave or perform driveway resurfacing on your damaged property. In some instances, you may decide it’s best to simply pour a brand new concrete surface. Either way, it’s important to understand what’s involved with performing the driveway repair process. You’ll find that there are different methods used. The same is true of parking lot repair in Irving. 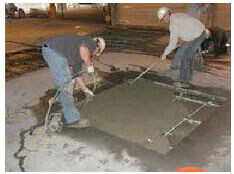 If a large area must be paved or cracks are very large, more work is involved. It pays to be picky. The process of fixing driveways requires utilizing proven methods. When choosing contractors that are the best, ask a lot of questions about driveway cracks or parking lot damage, and get free estimates on driveway repair. When you enlist HD, an Irving company that is a member of the Business Bureau (BBB), you’re choosing a superior contractor. We have an A+ rating. We’ll get you information about what concrete driveway repair costs. Fees in and around Irving range from less than $1,500 to more than $7,000, depending upon what must be done. Costs for fixing or paving driveways and cracked parking lots can be impacted by many things, including the size of your surface and the thickness of the concrete poured. If you have drainage issues on your property that are causing gaps in your driveway, have the contractors at HD address those during the process. We install drainage systems that can prevent deterioration. Due to parking lot and driveway repair problems like cracks in the Irving area, residential properties, apartment complexes and commercial complexes frequently need driveway contractor services. If you’re concerned about your driveway, ask us to perform an appraisal and evaluation at no cost. 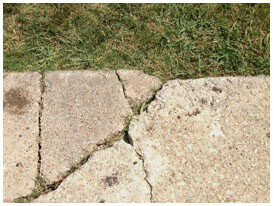 We’ll look for cracking, crumbling and uneven driveway surfaces. If yours needs to be fixed, we’re contractors that can stop driveway damage on your Irving property. So contact us online today. Or, please just phone us.